Google talk is one the best Instant messenger to keep in touch with friends and family. This article will teach you How to Use Gtalk2Voip. During past years I have completely switched over to Google talk for the simple reason that it work even at my office, supporting voip calls (PC to PC ). Its has a very simple user interface and is fully integrated with Gmail too, and also has no room for Spambots. Googletalk is best in voice clarity also, making it one of the most popular client for PC to PC voip calls. However, now its very much possible using Voip gateway provided by gtalk2voip.com. 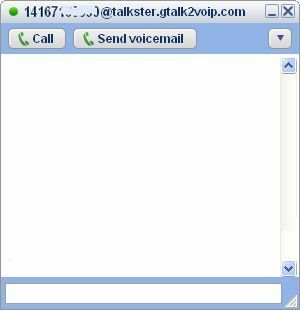 Gtalk2Voip even provide the similar functionality for other messengers also like Yahoo , MSN etc. 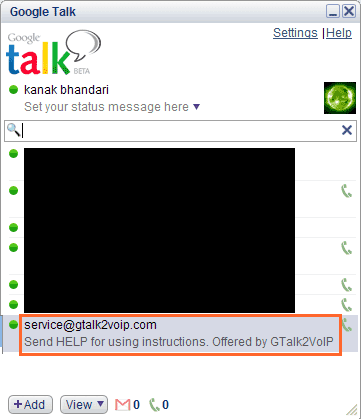 1) Go to Gtalk2voip.com and add your googletalk id in the subscription box and click invite. 2) Accept the invitation in Googletalk messenger, and you are done. 3) A support bot of Gtalk2Voip will be added to your Google talk list which will help you place PC to phone calls directly from your Google talk messenger. In addition you will have a personal page at Gtalk2voip.com for a full control over your call settings. You can type “HELP” in the chat box, and you will get access to all the available commands. You can log in to the forum and request for free credit to test the call clarity. The support members are very helpful, and will clarify any query you have. 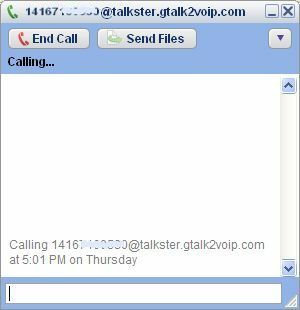 Gtalk2Voip has now joined with Talkster and FreeRinger.biz to provide you free calls to over 30 destinations (check out this link for updated list ) . 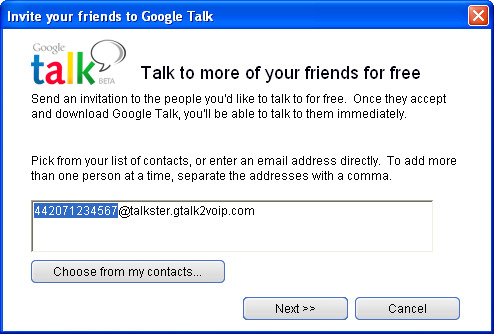 To know more how to call to these countries for free from Googletalk using Gtalk2voip Click Here. However, below is the verbatim transcript on how to do that. 2) Add contacts the same way you usually do: click on the Add button to add a friend. Please check out talkster supported countries. 4) You’ll get a confirmation from Talkster with instructions. 1) Click on your friend’s number in your Google Talk Contact List. 4) When your friend answers, you will have 10 seconds to check to see if he’s available to talk. Tell him to hang up and call right back, using his local Talkster phone number for you. 7) When you’re done, you just end the call! 8.) 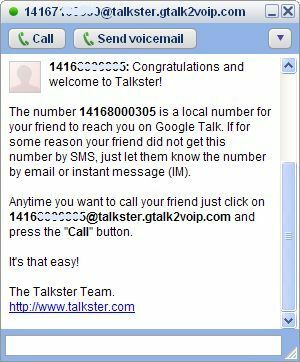 Tell your friend to save his Talkster call-in number in his phone so he can use it whenever you want to call him from Google Talk. 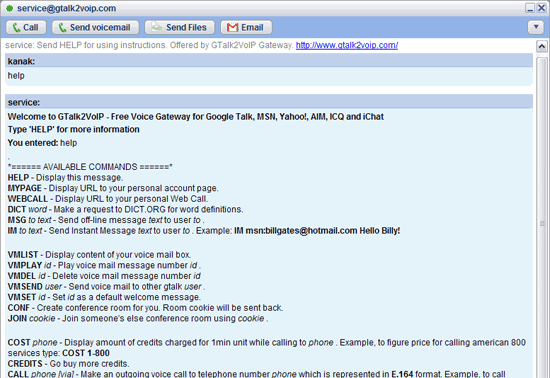 So here is way to make phone calls from Google talk , using Gtalk2voip. In upcoming posts I will be discussing about how to make SIP calls using Google Talk .